Malta was a unique and beautiful place to spend the day of our wedding anniversary, but we were really surprised when they really went all out to help us celebrate with cannon fire! We visited Malta as part of our Azamara Quest Cruise to celebrate our wedding anniversary. One of those big ones with a "0" in it! 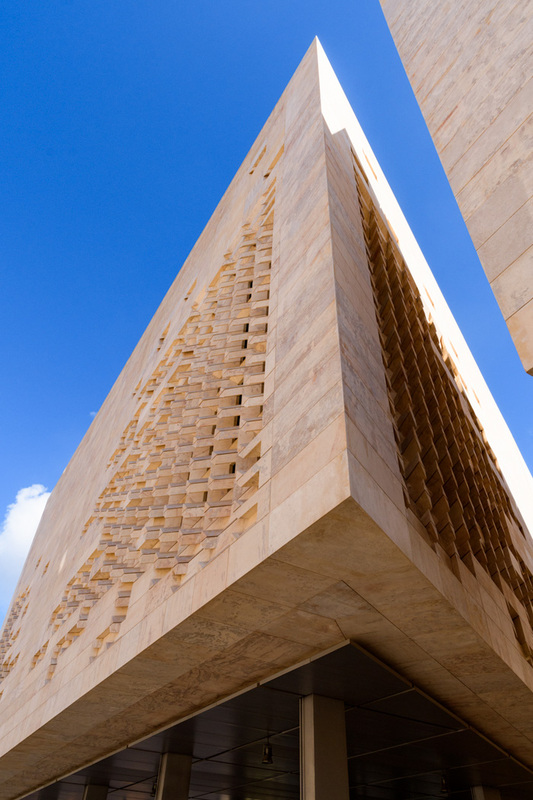 Malta is a small island in the middle of the Mediterranean. 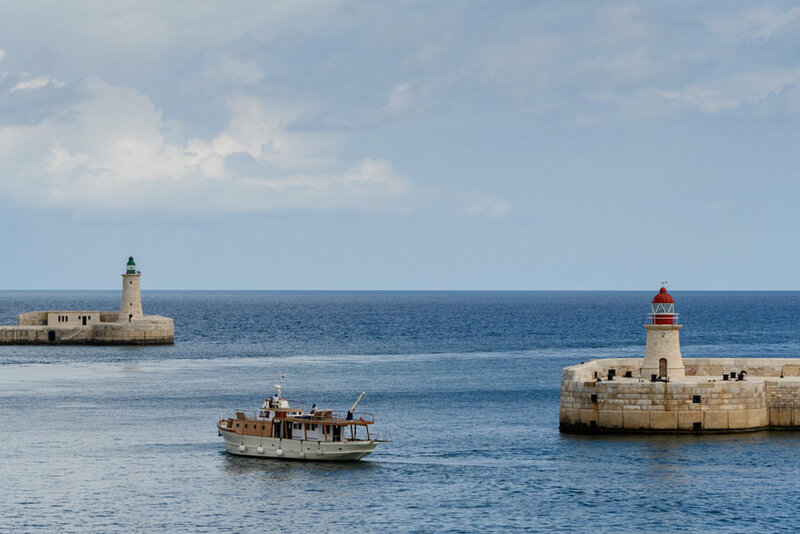 Sailing into the harbor is a scenic experience itself, and our ship came in around noon, which gave us plenty of daylight to enjoy the dramatic lighthouses, St Elmo Fortress and beautiful city from the deck of the ship. Home of the Hospitaller Order of St John Knights, it's full of history and culture. 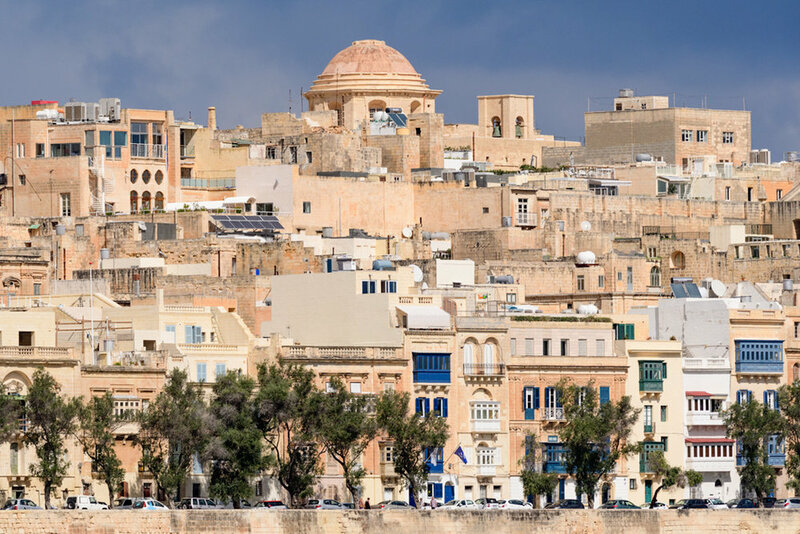 After searching online for privately guided tours, we contacted Joan of Touring Malta for a half day tour, but she was already booked for a multi day trip and recommended we book through her brothers company. Chris Sheridan was responsive by email and we arranged a half day tour to start mid afternoon, when we arrived in Malta. Our guide Flora met us promptly at the pier and driver Charlie, stopped to pick us up at the entrance of the port. We began our tour in the "Old City" of Valletta on Republic Street. We were joined by throngs of tourists and sightseeing groups. 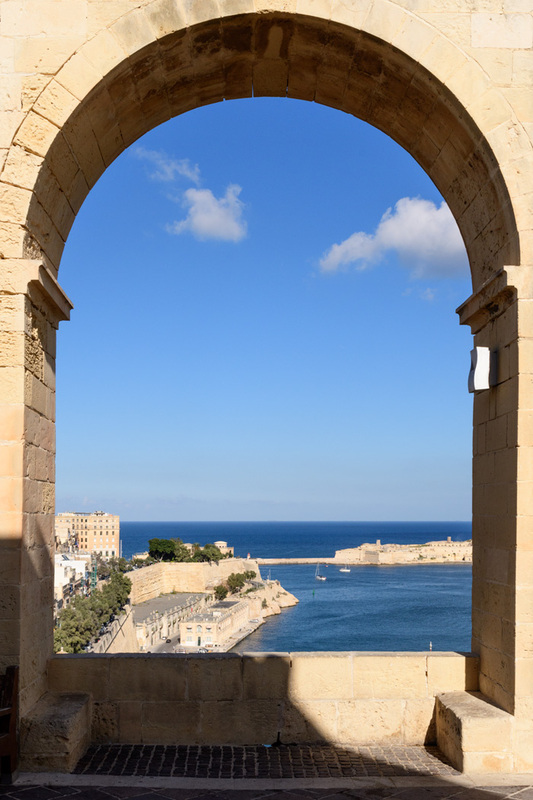 What impressed us about Malta over the other old cities we had visited as part of our 10 day cruise, was that it was not just a museum to the past, but mix of old walls, and buildings and modern stores and buildings. 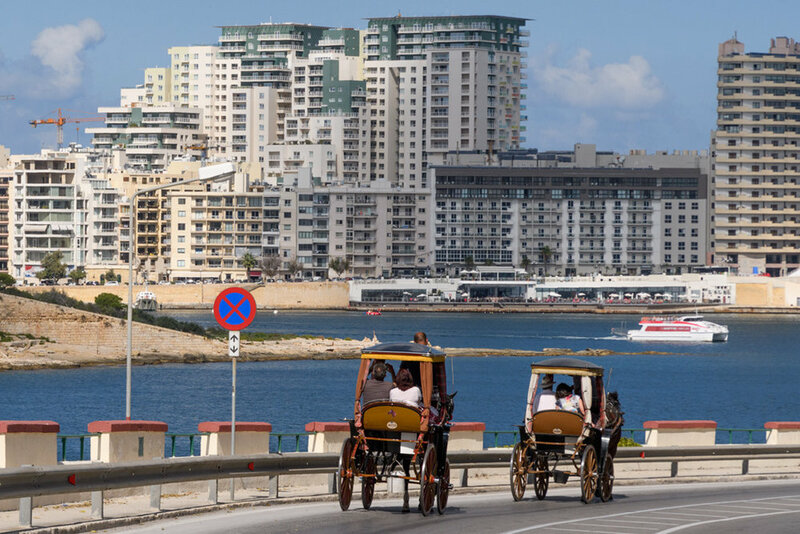 New buildings and old horse carts demonstrate the mix of old and new in Valletta. The Knights of St John were known as Hospitallers because they ran hospitals for knights from the 16th - 18th century. The Knights in Malta were organized in Langues, based on their homelands and language. The Knights were noblemen sent from their home area to defend and expand the Church. Their families were wealthy nobles, so each Langue had an elaborate palace, called an Auberge. Many of these still stand today, and can be seen from the street. Most are now private buildings with no public interior access. Grand Masters of the Knights of St John commissioned funerary monuments to be placed in the church upon their deaths. 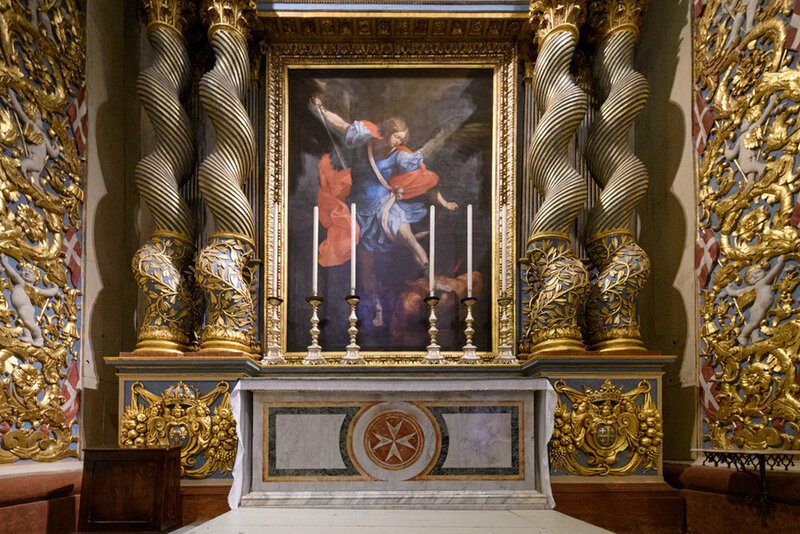 Many of these were elaborate combinations of sculpture, mosaic, and frescoes made of the most expensive marbles by some of the top artists of the time. And gold, lots and lots and LOTS of gold! The nave is surrounded by chapels representing the regions where the knights originated from. The Knights were housed in Langues around Malta that were largely organized around the native language of the knights. ...Queen Victoria! 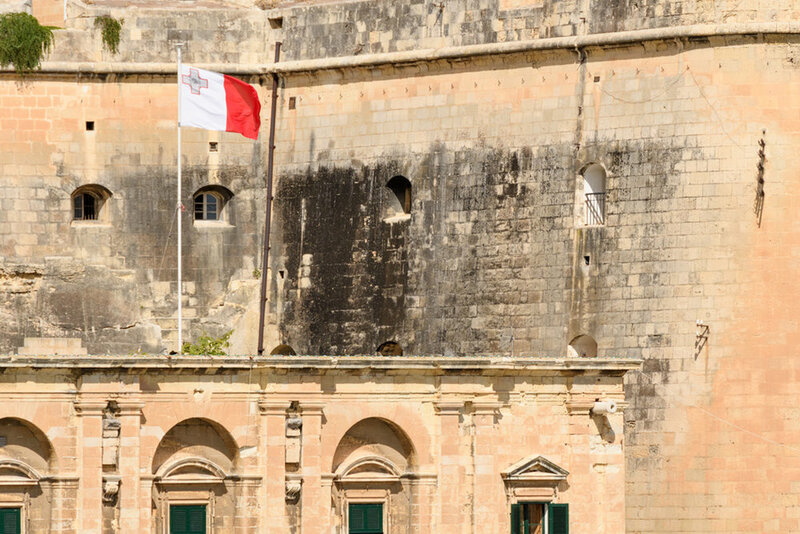 Well, the British did leave their mark from the time Malta was part of the British Empire, Her Majesty presides outside the building that was once the repository of records for the Order of St John, but today it's a casino. The guards switch places, several times a day, but to see the real spectacle of the changing of the guard, the last Friday of the month, there is a parade and the whole guard is changed for the month. More info about that here . For the next part of our tour, we walked from the city center to the Barraka Gardens on the Grand Harbour. In early October, there was not a lot blooming to see, but we were just in time to enjoy the Saluting Battery, where twice a day, cannons are fired. But because we were visiting on the day of our anniversary, we liked to think that they were firing the cannons at the exact moment our wedding ceremony started (EST) We like to pretend the Salute was for US! Cannon fire marks the exact moment of our Wedding Anniversary...coincidence? I don't like to think so! 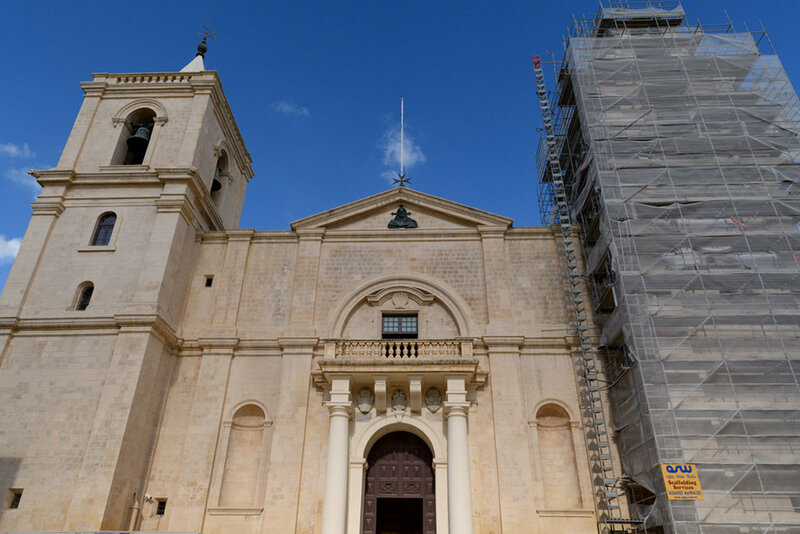 The last part of our Malta tour involved driving to the Old City of Mdina. 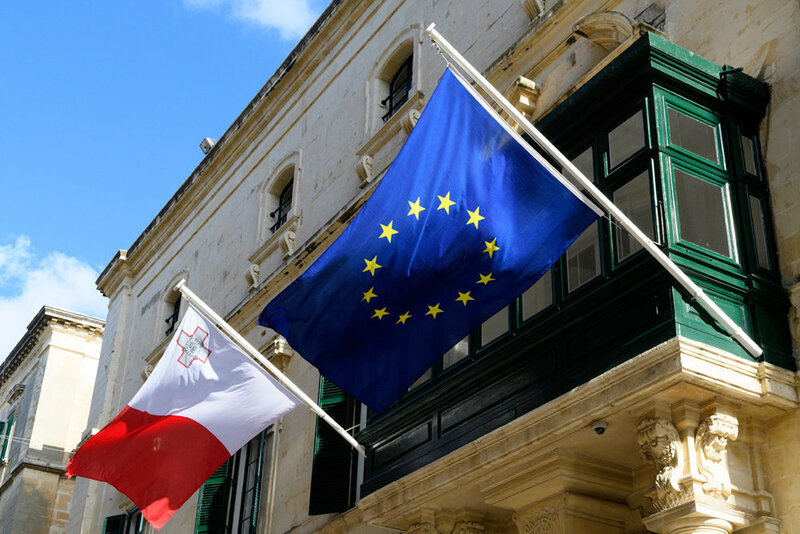 While Valletta is a modern city mixed with the old, Mdina has been preserved as the original city of Malta, from ancient times to medieval times. Guests visiting are actually requested to be quiet when visiting to maintain reverence in an area still filled with monasteries and convents.